Post traumatic osteoarthritis occurs after there has been an injury or fracture in or around a joint. This could also include prior surgical procedures or even after surgery to correct a prior fracture. Post traumatic osteoarthritis occurs due to damage to the cartilage sustained from the injury. As with osteoarthritis the damaged cartilage is not able to heal and as time goes on the damage becomes more and more severe and eventually produces pain. Post traumatic osteoarthritis is more difficult to treat than standard forms of osteoarthritis because there has been usually a significant injury which creates scar tissue formation along with increased complexity from any prior surgical procedures. The treatment of post traumatic osteoarthritis is similar to standard osteoarthritis with the exception of surgical management. If a total hip or total knee replacement is being considered it should be performed by a fellowship trained adult reconstruction or total hip and knee specialist to best care for this condition as there is increased risk and complexity with these procedures given the prior injury and scar. 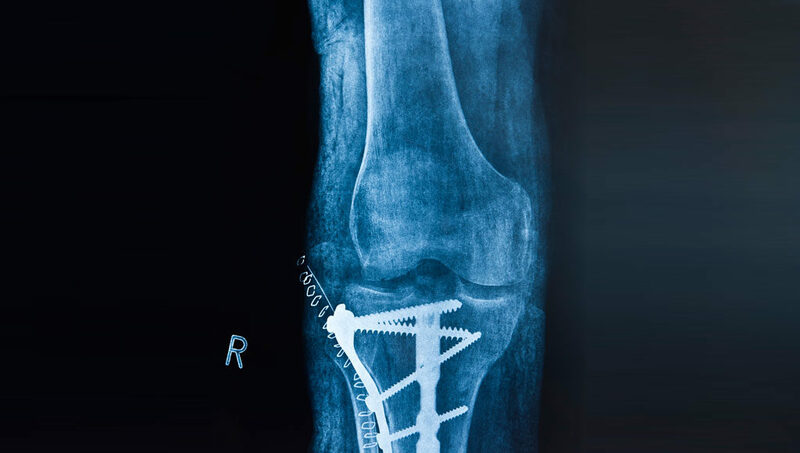 There may also be a need to remove any existing hardware in or on the bone and rarely the removal of the hardware may have to be performed by an orthopaedictraumatologist at the same time or at a different time than the total hip or total knee replacement.